#1230friday brings you all something totally different to read. Speaking of different, both of this weeks posts have been very ‘out of the usual’ haven’t they? But if you knew me in person, I’d have to raise my hand to being unusual and quirky so I completely blame my personality for this! So this week I was extremely fortunate to interview the extremely talented Mira Manga who is the author to Lush’s own ‘Cosmetics To Go’ book! As it is no secret that I absolutely love Lush products, I found no problem in asking Mira a range of questions that would relate to all things Lush and wonderful. Cosmetics To Go was a mail ordering company that existed before Lush which went into administration one year after not receiving enough orders. 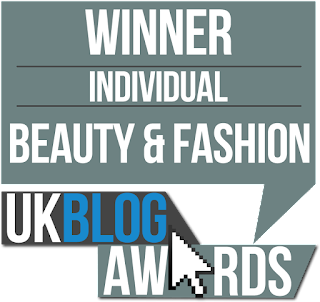 The story behind Cosmetics To Go and the the birth of LUSH Cosmetics is jammed packed with excellent entrepreneurial skills and to put it bluntly, balls and guts too! (excuse the pun). So pen to paper, tea to hand and the fabulous waft of Rose Jam shower gel after my exquisite shower- I was ready to learn and find out what exactly this book was all about. 1. Hi Mira, firstly apart from writing this exhilarating book on ‘Cosmetics To Go’, what other roles have you had within the company since joining in 2000? I started as a Saturday girl at the Carnaby Street Lust store in 2000. I was working at MTV as an intern at the time- but adored all the exciting smells and products and the girls who worked there were super friendly and fun. I ended up working at Lush on Saturdays for eight years! I think Mark C was a bit perplexed that I stayed working Saturdays despite me working full time various music/media companies, but after a tough week at work, the shop floor on a Saturday working with my awesome colleagues and customers was an energising balm for the soul and really soothing! Eventually, a full time Lush rile in the team that looked after UK stores came up. I applied and worked with all the UK stores from then to just before starting on the book in November 2011. 2. Writing a book for such a famous brand must have been daunting, what did you enjoy the most writing about it? I loved hearing all the little secrets and stories about our Lush history that I hadn’t heard before. Straight after an interview, I’d get a little tremor of thrill going through words in my head to figure out how to write it all down to keep the essence of the telling. You’re right about daunting, it felt like a great responsibility not to diminish such a wonderful and rich narrative. 3. From writing the book, what have you learnt about Mark and Mo Constantine? Are they as fun and quirky as their products? The main thing I learned about Mark & Mo is their ability to be extremely tolerant- especially of me wandering into their work space almost daily asking for random pieces of information! I also learned how the two of them have always been a wonderful partnership and team, helping each other with creativity and supporting each other to help tease out ideas into perfect products. Throughout the book, you can see that they have also both been passionate about innovation and not afraid to go against the grain- they just trust the experiments and take their inventions to natural and wonderful conclusions. There is definitely a sense of fun that goes into making lots of our products, but tempered with an expertise which comes with so many years of experience. I don’t think you could have one without the other. 4. Research tells me that you are quite the ‘go to’ expert on unicorns, would you consider your creativity to be mystical and quirky? Or is there a complete other explanation to this? 5. As this book is rather personal to LUSH as a company, how have you managed to add your own personal touch on it? It seems to be historic yet so current and fresh! I feel like, my job was to tell the stories of the people who actually lived and experiences being part of Cosmetics to Go, so I tried to just relate these to the reader without my voice getting in the way. 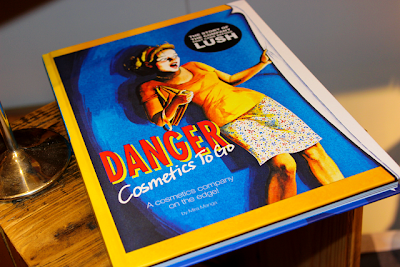 I made sure the book was just as beautiful and colourful as the gorgeous Cosmetics to Go catalogues and I also tried to make as many pages as possible have some kind of link to Lush story products so you get to see all the connections and keep it relevant. 6. If you could describe this book in a sentence, what would it be? The story of a unique cosmetics company that blazed a trial and burned brightly for just six years before spectacularly losing it all…! 7. What is next for you? Will we be seeing more writing from you? or are you considering other plans? I blog a little on my website. Generally words just come to me and tug at my brain ’til I spill them onto a notepad or into a Word document. I was writing a book about dating disasters when I started the Cosmetics to Go one so I might fool around with that a little and see if it comes to anything! My next project with Lush is super exciting and is all to do with the music that we create as a company and the music that inspires us as a company. Not enough is known about our forays into the world of melody, song and music so I’m delighted to be doing something about this. Most recently Rose Jam shower gel is making every day a rose garden, Turkish Delight cream… but I’m a tear round Aqua Marina cleanser girl. It is great for my complexion and smells simply divine. So there we go guys! What a perfect book to pick up this Christmas for someone who is a fan of cosmetics, Lush, and entrepreneurship too! 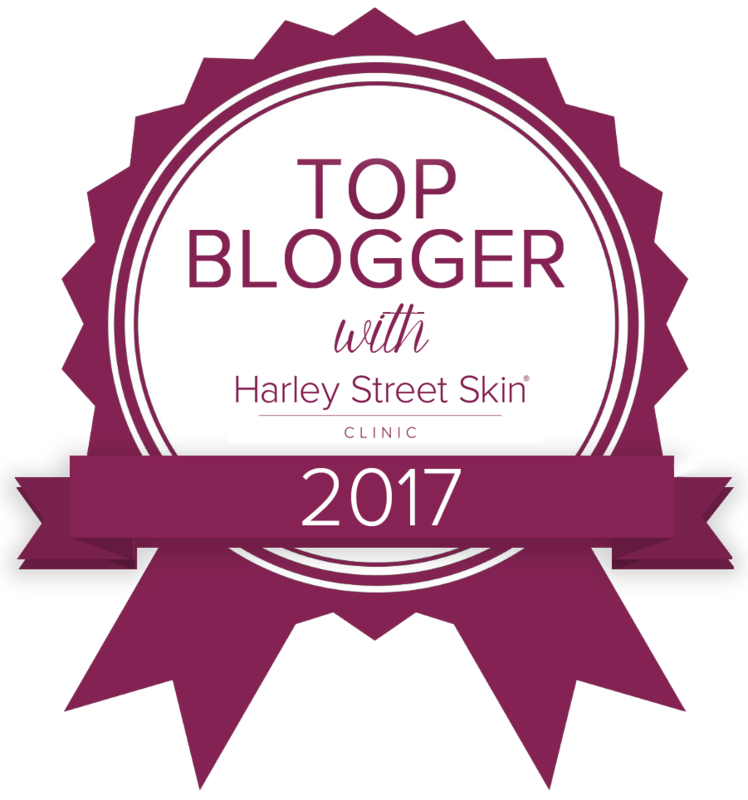 If you would like to follow Mira in her next adventures, then please follow her blog by clicking here! She is an inspiration to all young writers and authors out there, so we salute you Mira! Many congratulations on your accomplishments with this amazing book!